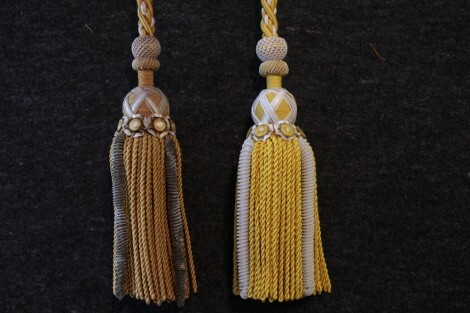 Whether through elaborate hand craft or the use of historical looms – our centuries of experience and in-house manufacturing processes allow us to restore or faithfully reconstruct almost any passement “in detail”. In every step of the reconstruction we produce the passements as an exact replica of the desired or historical template. If your passements have small defects, we restore them and make the defects invisible. 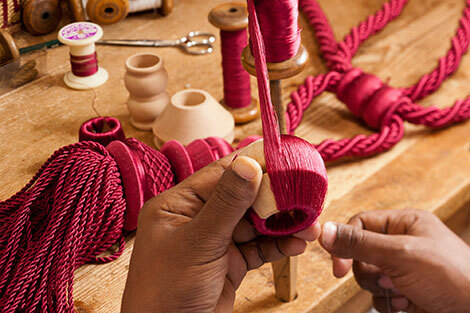 Both our historical looms and the perfectionist hand craft allow the finest modulating and also modelling of the details of all the passements. 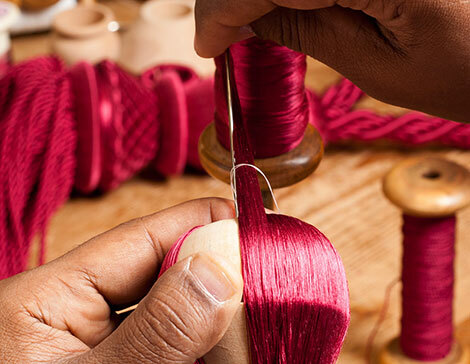 For almost all passements we offer TREVIRA-CS-machined specially produced yarns (even in small quantities). This enables us, if necessary, to meet today’s fire safety standards for the passements we reconstruct. We are available on request, to advise you if you want to design your room with historically accurate and stylish passements.